As we age, the natural amount of Hyaluronic Acid and collagen production in our skin decreases, which can result in the appearance of deep lines, sagging cheeks, wrinkles, and thinning lips. Most patients who get fillers are between the ages of 30-65 years old and are seeking to reverse the signs of aging, although people who fall outside of this age range may also receive facial fillers. Restylane®, Juvederm® and Teosyal® are non-permanent soft tissue fillers derived from Hyaluronic acid, which is a natural skin constituent. The highest concentrations can be found in soft connective tissues and in the fluids around your eye area. It is also in the fluid of some cartilage and joints, in addition to skin tissue itself. It has now become one of the most popular kinds of injectable fillers as it is extracted and re-formulated for health and cosmetic purposes. It is often used to reduce the appearance of fine lines and wrinkles, aging hands, volume loss, under eye bags, and can reshape the nose and ears non-surgically. Radiesse® is a semi-permanent filler derived from Calcium hydroxylapatite that encourages collagen production in the skin. It is found naturally in human bone and is a mineral-like compound used to treat dramatic creases in the skin, such as nasolabial folds, marionette lines and frown lines. It also helps plump out and enhance fullness in facial contours, such as the cheek area. Calcium hydroxylapatite is produced biosynthetically, meaning that there are no animal or animal products used in its production process. As a result, the risk of developing an allergic reaction is limited and no skin testing is required beforehand. This dermal filler was used first in reconstructive and dentistry surgeries and has a long medical history of being extremely safe. In addition, this filler has a reputation for producing very natural-looking results, does not migrate to other areas of the face, and side effects are rare. Sculptra® is famously known as a “facelift in a bottle”. It promotes the deposition of your skin’s collagen through a synthetic injectable material known as Polylactic acid. This biodegradable, non-toxic ingredient is the same substance used for over 40 years in dissolvable sutures and is very safe for cosmetic use. 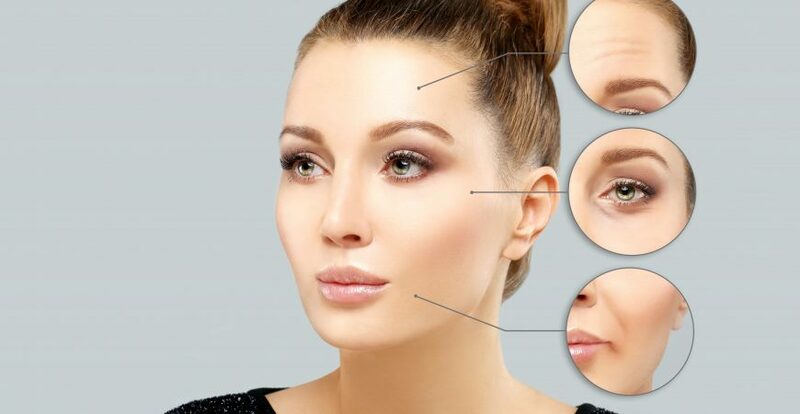 Polylactic acid works particularly well for the lower half of the face and can be used to fill in laugh lines, add volume to thin lips, and reduce the appearance of deep nasolabial folds. Unlike other dermal fillers, the substance is unique because it does not produce immediate results. Instead, it works by stimulating and speeding up your own body’s natural production of collagen. Results appear gradually over a period of a few months after treatment. However, to achieve your desired results, you will most likely need about three treatments on a monthly basis to re-stimulate the collagen each time. Afterwards, you will see results in the following 4-6 weeks for the full effect. Sculptra is considered a semi-permanent filler but occasional touch-ups will still be required to maintain your best results. 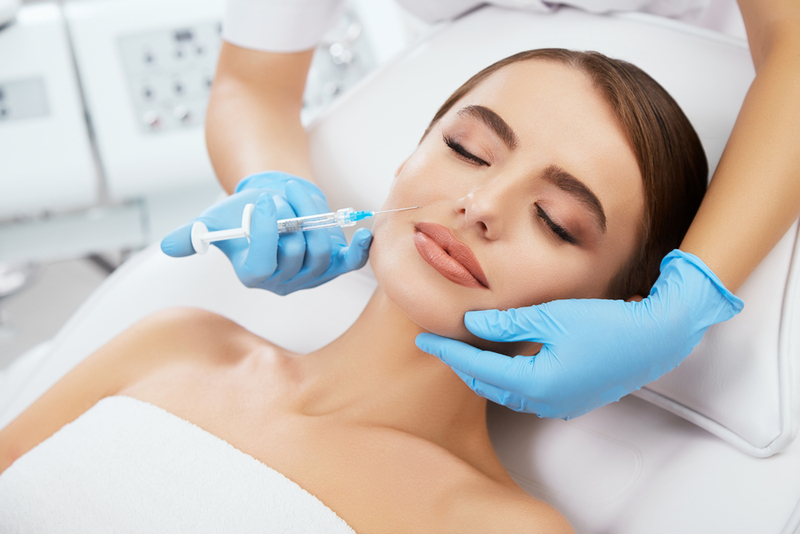 Restylane Skinboosters are hyaluronic acid based fillers that are injected into the skin, which helps improve hydration levels in the skin as well as boost its firmness and luminosity. Once hyaluronic acid is injected into the skin, the molecules absorb water to hydrate the skin inside out. When the skin is hydrated, it will appear brighter and more youthful. At the same time, Restylane Skinboosters work to stimulate the production of collagen to produce long-term anti-aging benefits for the skin. Lip Fillers help to not only make the lips fuller but also works to enhance the most defining feature of our face. Decreased volume and flattened contour of our lips occur as we age, and can result from aging, chronic sun exposure, smoking, and genetics. A quick and simple procedure of only 5-10 minutes can give you your youthful, luscious lips back. With relatively no down time, your results can last upwards a year, although individual results may vary. Dark Under-Eye Circle Correction helps combat the dark, shadow-like appearance under the eyes that result from aging, when we start losing the layer of fat beneath our lower eyelids. 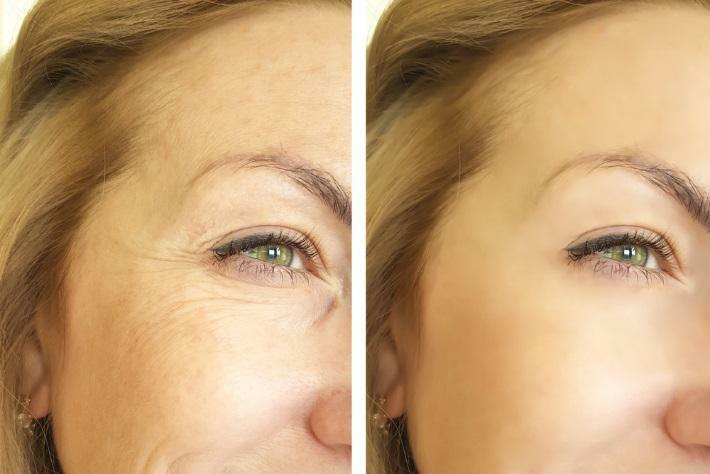 These “tear troughs” can be easily corrected with hyaluronic acid fillers and provides immediate improvement for up to 18 months with only one session. Non-Surgical Face Lifts are a safe and quick procedure, taking less than 30 minutes to complete. It uses Hyaluronic acid fillers a full face soft tissue augmentation. There is generally little to no down time and your results are immediate. This non-surgical face lift typically lasts 12-18 months, however individual results may vary. Non-Surgical Nose and Earlobe Reshaping with the use of fillers can rejuvenate your look in under 10 minutes. Say goodbye to the bump on your nose and your saggy earlobes! Facial fillers differ in their chemical makeup, longevity, and have a range of softness levels. While softer fillers are used in areas such as the lips, sturdier ones may be used to enhance the cheekbones. The healthcare professionals at The Centre for Dermatology will work with you and determine the best type and volume of filler that is needed in order to properly address and treat your areas of concern. The injection of fillers is a relatively painless and safe procedure. While procedure time varies depending on the area being treated, many can be completed in under 20 minutes. Repeated treatments can provide prolonged improvement on a long-term basis. Depending on the type of filler you are receiving, your results may be more immediate (ie: Hyaluronic acid based fillers) or take a longer period of time (ie: a few weeks to a few months) to develop for full results (ie: Polylactic acid based fillers). Many patients prefer dermal fillers because there is no down time, incisions, or bandages after the procedure is complete. Apply ice immediately after your filler procedure as it will help reduce swelling and continue to apply ice to the area to address soreness or swelling for as long as needed. At the point of injection, you may experience minor bruising, swelling, redness, or tenderness for a few days. To reduce the swelling, you may find it helpful to apply ice or a cold gel pack immediately after receiving your fillers. Most dermal fillers have a temporary effect and results may last anywhere from a few months to several years. Their longevity depends on the softness of the filler and the rate at which your body metabolizes the material. 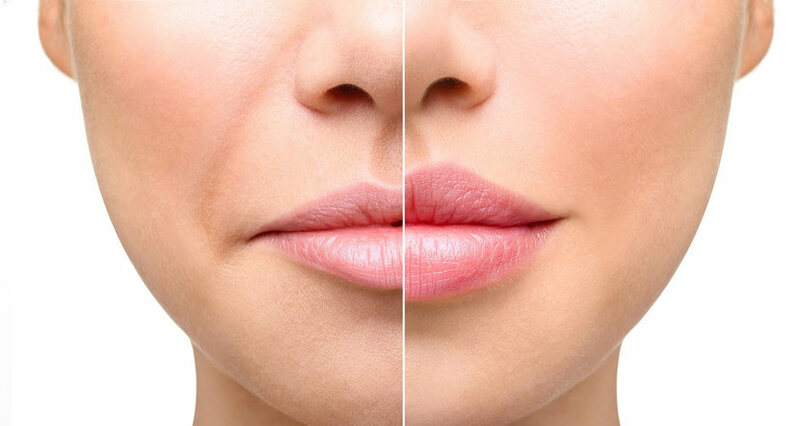 For example, while lip fillers can last upwards a year in some patients, others may require touch-ups or follow up appointments sooner than this in order to maintain the best results.